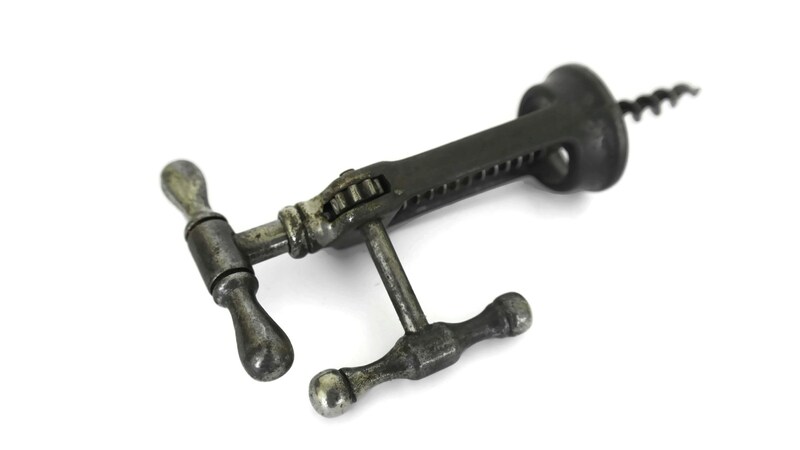 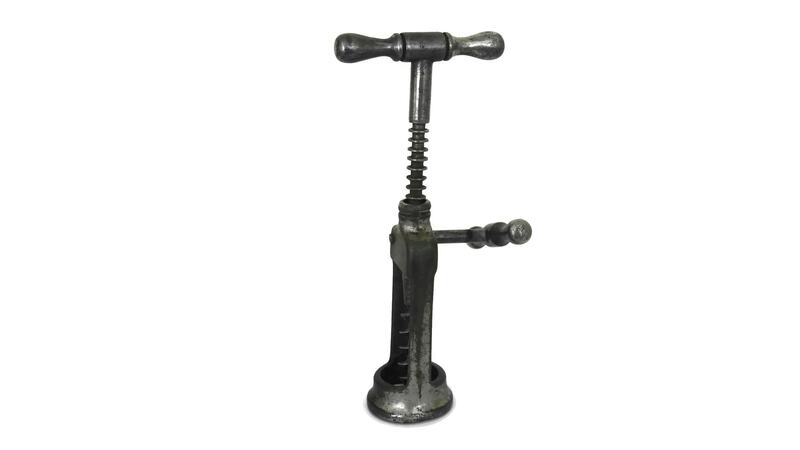 A rare antique French snap rack and pinion corkscrew dating from the 1930s. 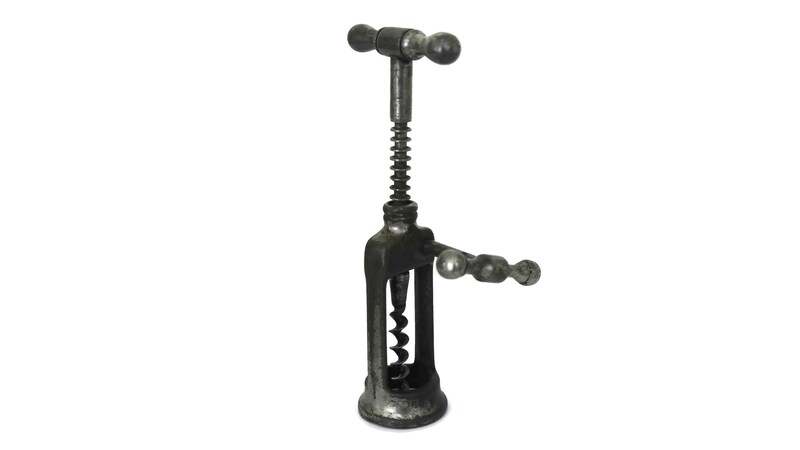 Known in England as a "King screw" and in France as "tire-bouchon à crémaillère", this corkscrew has been made from steel and plated in a silver tone metal. 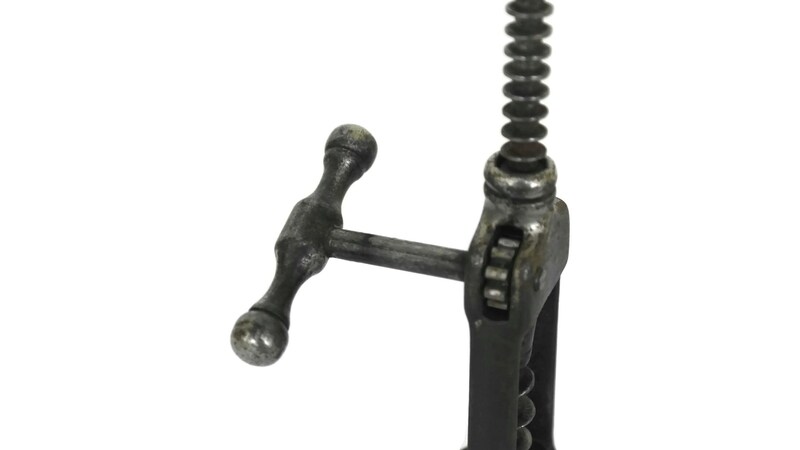 It has an open frame and a rack and pinion arrangement, which converts a rotary motion to a reciprocating motion. 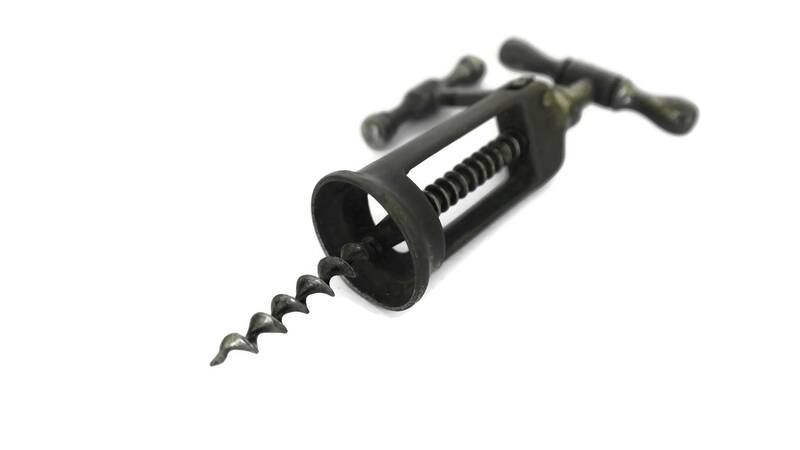 The crosspiece on top is used to insert the worm, and the frame helps position it. 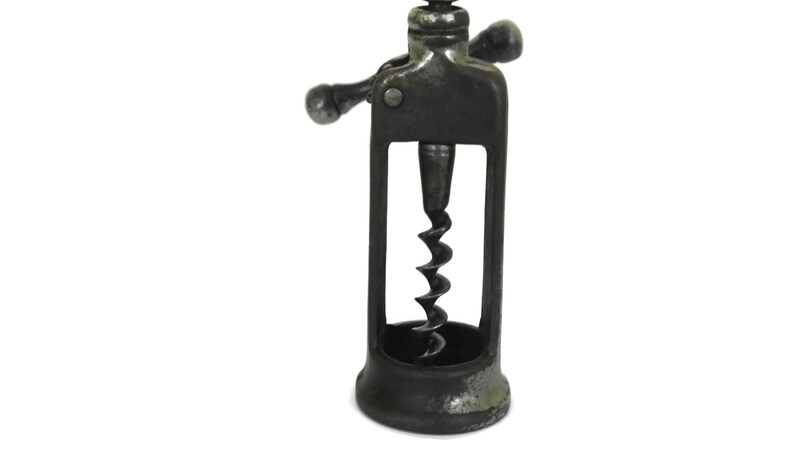 The handle on the side is attached to rack-and-pinion gearing, all of which work together to easily lift the cork. 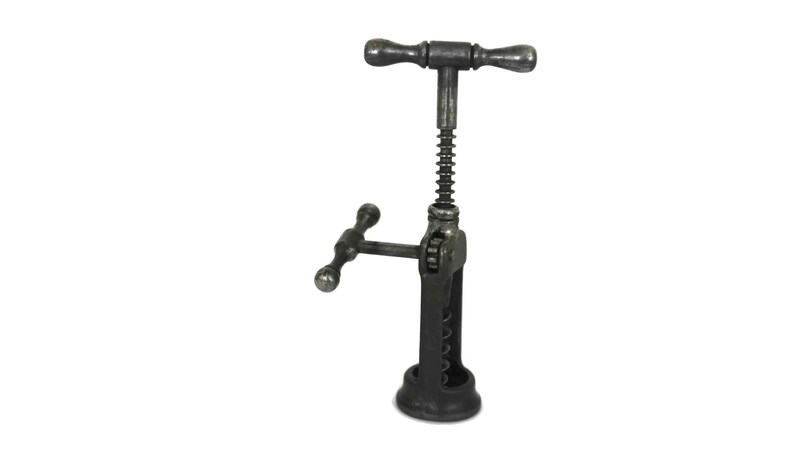 It will make a great addition to your wine bottle opener collection. 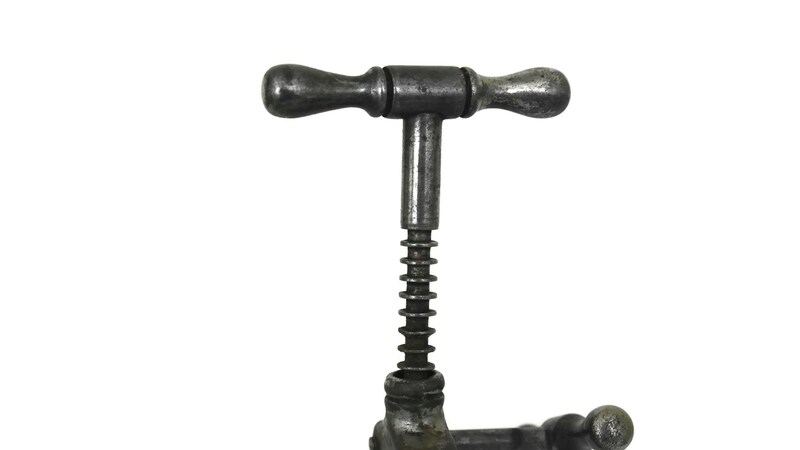 (16,5 cm x 7 cm). 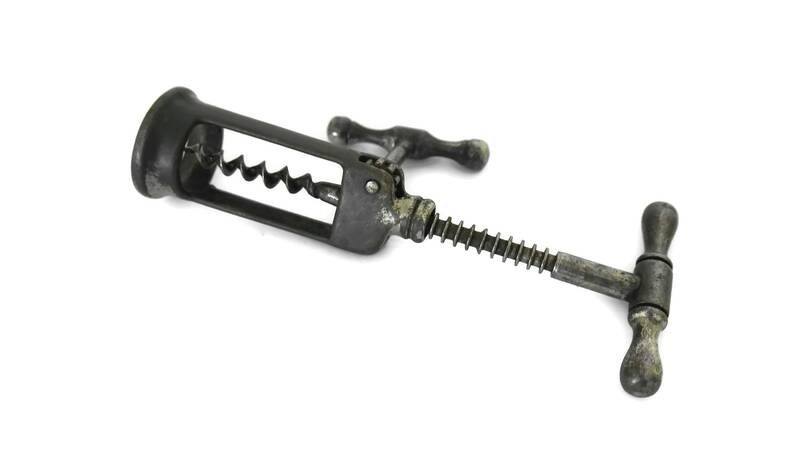 The antique French corkscrew is working condition and in good used condition. 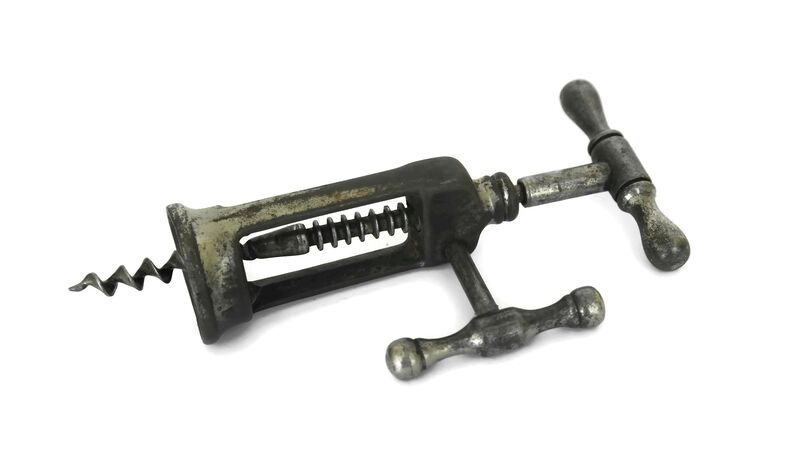 Most of the plating has rubbed away.